People of Vunimoli, Labasa had a reason to smile after the general secretary of the FijiFirst political party, Aiyaz Sayed-Khaiyum visited them on Wednesday. Mr Sayed-Khaiyum said with elections around the corner people needed to think wisely. “When you vote you should put your country first, because with this party it is all about service to the people,” he said. 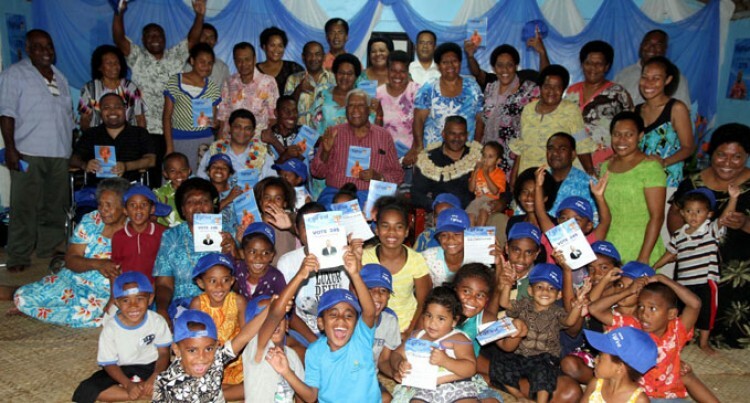 He said that the Bainimarama – government achieved what no previous governments did not. Mr Sayed-Khaiyum said the good work of the Bainimarama – government should be allowed to continue. According to FijiFirst leader Voreqe Bainimarama the elections will be contested between two parties, The FijiFirst party and the Social Democratic Liberal Party (SODELPA). This analysis has been contested by other parties who believe it is still anyone’s race.